Turquoise Headpiece: Innaya Couture -- The true wow-factor of this headpiece is almost impossible to translate through pictures. The quality, the love and the amount of work put into this piece of jewelry is beyond words and my first reaction was total and utter jaw-dropping astonishment. This headpiece is more like a museum artifact and truly belongs on the head of a queen -- it certainly makes me feel like one and I can't imagine any woman feeling less than a queen while wearing this crown. If headpieces aren't your thing, Innaya Couture offers tons more & everything in between: earrings, bangles, necklaces and calligraphy pieces. Innaya Couture is a traditional yet contemporary jewelry line that specializes in hand-crafted, custom-made South Asian and Middle Eastern jewelry. Founded by two sisters from Yorkshire, England, Innaya Couture pieces have been featured in numerous exhibitions and graced the covers of magazines such as Asiana Bridal and Khushi since its launch in 2009. 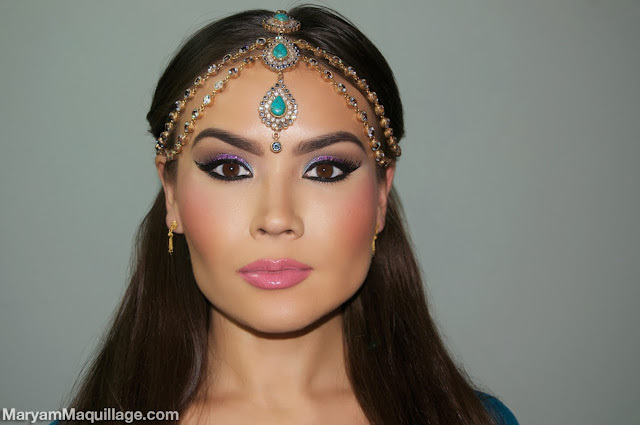 Makeup: To complement my headpiece, I went for a modern interpretation of Eastern / Arabic makeup i. e.
Products Used (SKIN): Flawless and well-defined using all Motives Cosmetics. 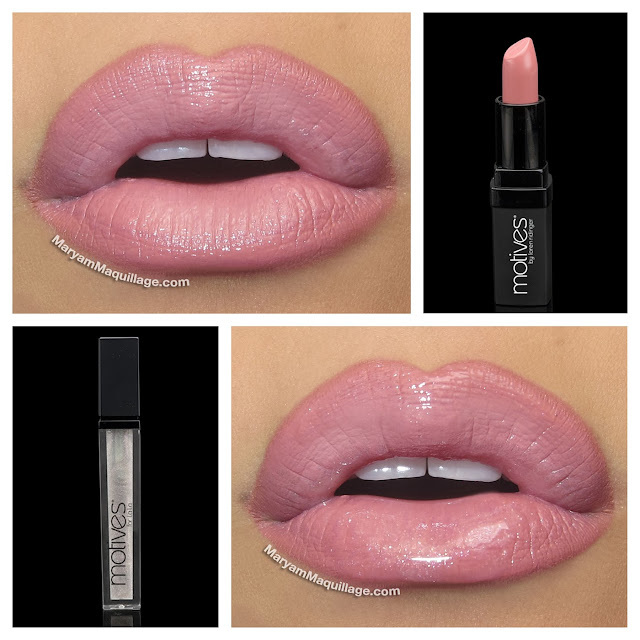 Motives for Lala Color Perfection Quad in Medium -- lightest color used for highlighting under the eyes and on the tops of the cheekbones. Darkest colors used to contour the nose and jawline. Ardell accent lashes 305 from HB Beauty Bar -- accent lashes are perfect for this look because they enhance the cat eye without covering up the glitter. Prime the lids with Motives Eye Base and trace the eye socket using Chocolight eyeshadow on an angle brush. 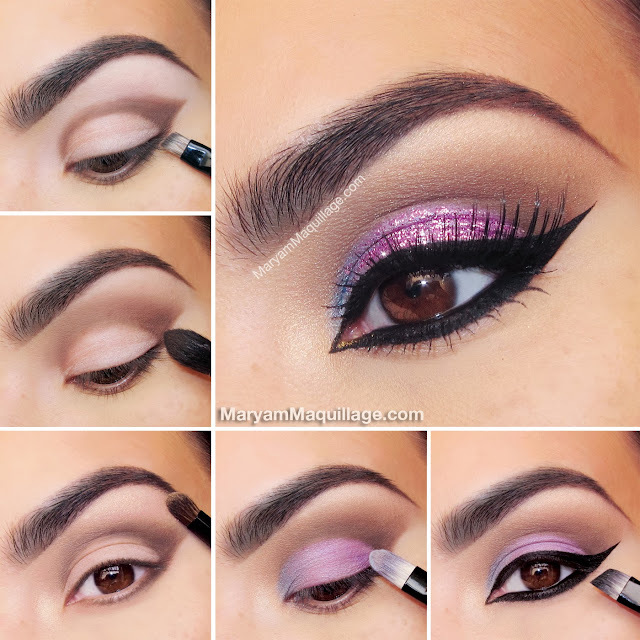 Thicken the line and extend the outer corner creating a wing shape. Using a pointed crease brush, blend out the edges using Cappuccino eyeshadow. Highlight the brow bone and inner corner using Vintage Glam eyeshadow on a fluffy detailing brush. Using a flat brush, apply Fantasy to the lid and Crystal Blue eyeshadow to the inner corner. Line the top and bottom lash lines with Little Black Dress gel liner on an angle liner brush, connect the corners and extend the outer wing. Rim the entire waterline. 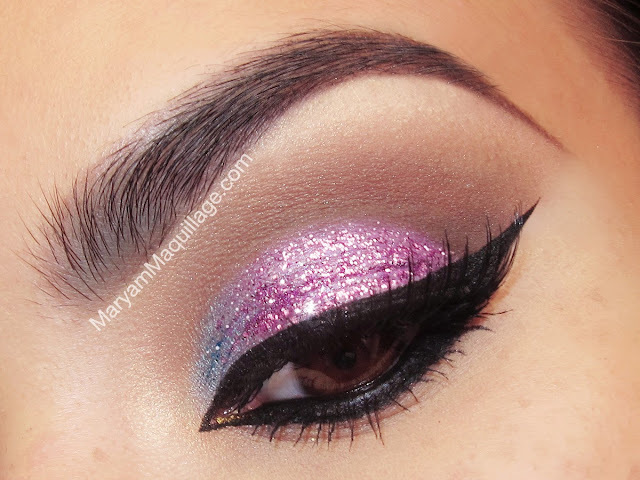 Apply purple glitter on top of the lid shadow, add accent lashes and mascara. For an extra pop, add a touch of gold to the inner corner on top of the black liner. You look really pretty...like an ancient queen. 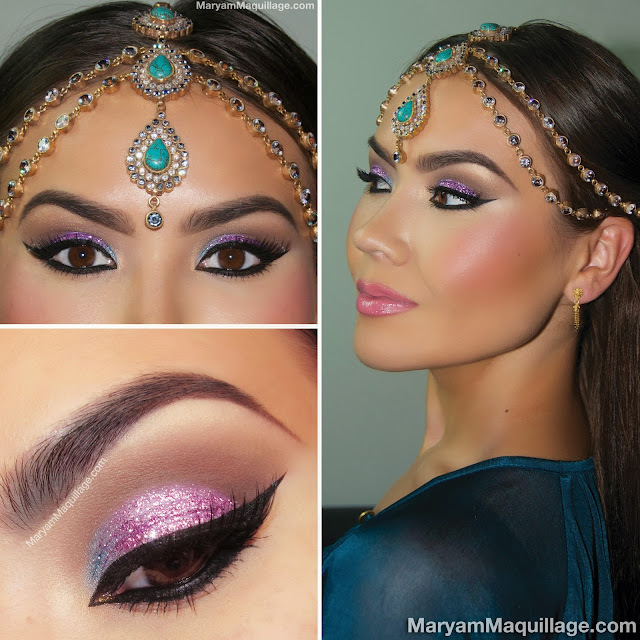 everything about this look is flawless & that headpiece is gorg! please tell me you went out sporting this look & didn't just wash it after.. it's too pretty to not share it with others in person too! So pretty! What a gorgeous headpiece. This is amazing. Your makeup is flawless and you are such an inspiration. I can't get over the fact how STUNNING you look Maryam!!!! 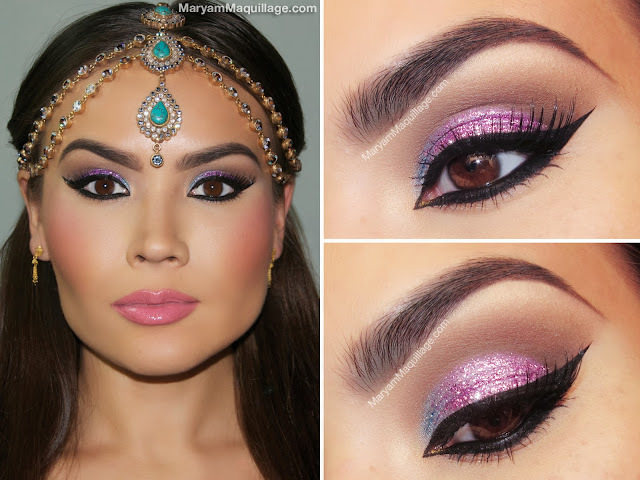 This make up and headpiece are beyond divine! You look like a queen straight out of a fairytale! No words! Jus gorgeous my friend! Priness Maryam: An Indian Princely state in Rajasthan India is searching for a Queen to rule the State. With your stunning and gorgeous looks you may fit their requirement perfectly. Would you be interested? If so I can put you onto the State Authorities for further discussions. You are sooo stunning i love everything you look like a true Goddess!!! wow! girl this is gorgeous! i will be coming back for more inspirations!!!! i am going to try and do my make up like that .